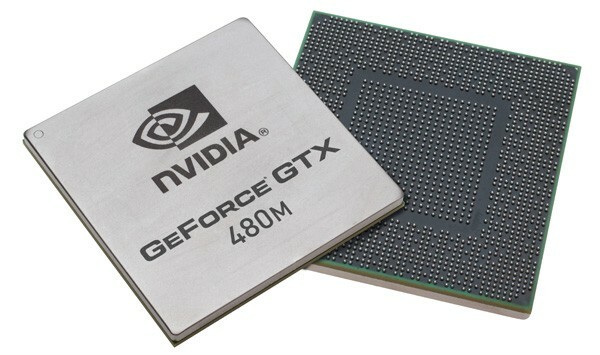 The NVIDIA GeForce GTX 480M is a high-end graphics card for laptops based on the Fermi architecture. As a result, it supports DirectX 11 and is produced in 40nm at TSMC. Featuring 352 cores, the GTX480M is similar to the desktop GTX 465 but with a lower clock rate. The GeForce GTX 480M is combined with 2 GB of fast dedicated GDDR5 graphics memory and the overall performance should be generally superior to the Mobility Radeon HD 5870. The GF100 (aka. Fermi) chip was redesigned from scratch and features 3 billion transistors, assuming all 512 shaders are present. Compared to the desktop HD 5870 with 2.13 billion transistors or the Mobility Radeon HD 5870 (RV870) with 1.04 billion transistors, the GTX 480M die is physically quite large. The mobile Fermi chip is stripped down to 352 shader cores (1-dimensional) with 32 ROPs and 44 Texture Units. The memory bus is 256 bit wide, but due to the fast GDDR5 memory, this should not be a bottleneck. The power consumption has been specified to 100 Watt TDP when taking into account the MXM board and the 2 GB GDDR5. AMD usually specifies the TDP of the chip alone, therefore this value is not directly comparable with competing Radeon cards. Still, the GTX 480M is only suited for very large desktop replacement (DTR) laptops with an excellent cooling solution. Originally, only Clevo was offering the GTX 480M in its 17" (D901F) and 18" (X8100) barebones. The performance of the Nvidia GeForce GTX 480M is about 10% better on average than the ATI Mobility Radeon HD 5870. In demanding DirectX 11 games and benchmarks (that make use of the Tessellation engine), the GTX 480M is even faster. That means the GTX480M is the fastest single GPU graphics solution for laptops as of early to mid 2010. Modern DirectX 10 games should run fluently in high resolutions and details with antialiasing. Only very demanding games like Crysis or Metro 2033 may need some reduced settings (see list below). Due to the DirectX 11 hardware support (and the good tessellation implementation), the Fermi based laptop graphics card should be well suited for upcoming DirectX 11 games. As the GeForce 300M series, the GeForce GTX 480M supports PureVideo HD with VideoProcessor 4 (VP4 with Feature Set C). This means the GPU is able to fully decode HD videos in H.254, VC-1, MPEG-2, and MPEG-4 ASP. The graphics card can also accelerate Flash videos by using Flash 10.1 or greater. The rendering cores of the Nvidia GeForce GTX 480M can be used for general calculations with CUDA or DirectCompute. For example, the encoding of HD videos can be done significantly faster than most modern CPUs by using the shader cores of the GPU instead. PhysX is also supported by the mobile Fermi chip to calculate physics effects in supported games. Compared to desktop GPUs, the Geforce GTX 480M is comparable to a nunderclocked Nvidia GeForce GTX 465 (607/1200 clock speed) and is therefore on par with a desktop Radeon HD 5770.